This site and it’s webpages are operated by ‘The Butchershop Bar & Grill” (referred to as “The Butchershop Bar & Grill”, "we", "us" and "our"). By visiting and using our websites, you or your computer or device may provide personal information and other information. This includes: information that is automatically provided by your browser to our website. People referencing you in posts on our social media channels. Electronic communications (emails) – Users can also subscribe to the communications at the time of registering with our website and by filling in our data capture cards within The Buthcershop Bar & Grill. An Unsuscribe link is included in every email communication that points uses to the a subscription management page. Information collected or generated out of our events - Feedback, reviews and content submitted by you in relation to services we provide. Competition information - Information collected or generated out of any competitions or promotions we run. Our competitions and promotions are usually subject to their own terms and conditions, which may also address additional privacy matters. Social media- Information (including your social media details, comments and photos) you post on our social media channels or any forum which relates to us. Website - We may collect information about your visits to, browsing of, and use of our websites. Bookings and other contracts- To enable you to make bookings, and to fulfil, provide, perform, administer, manage, and enforce all bookings, orders, and other contracts which relate to you, and to process any transactions authorised or made with us which relate to you. Payments - To collect and make payments due and administer our accounts. Communication with customers- To communicate with you concerning any enquiries, bookings, hospitality services provided, problems and complaints, and to respond to any submissions, enquiries or requests from you. You have the right stop marketing at any time. 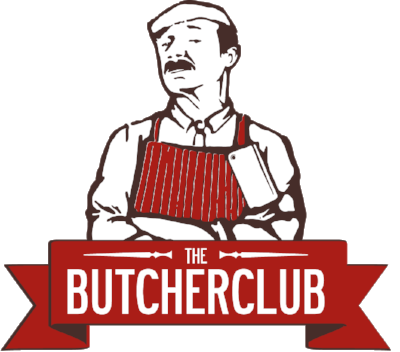 To opt-out of receiving direct marketing from us, please follow the instructions detailed at the bottom of all our email marketing communications or email us at social@butchershopglasgow.com. Once we receive your request for access or correction, we will endeavour to respond to your request within a reasonable period after the request is made. If you have any concerns about your privacy, the way we have handled your personal information or inaccurate data, please contact us using the Contact Information below and inform us of the nature of your concern. If you have any questions about your personal information, please contact us either by e-mail to social@butchershopglasgow.com.